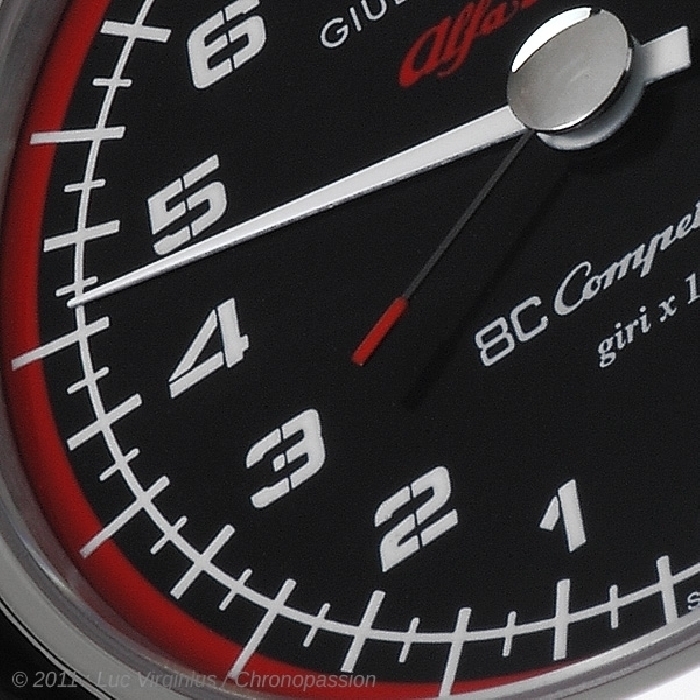 giuliano mazzuoli | 12'900 € Tax inc.
Contagiri (tachometer in Italian) is a watch in which Giuliano Mazzuoli relives his experience as a racecar driver and his passion for motor sports. 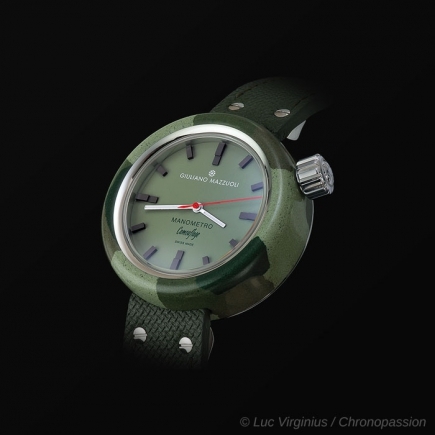 It took four years of development, production planning, prototyping, and international patents to create a jewel of time keeping that is completely made in Switzerland. 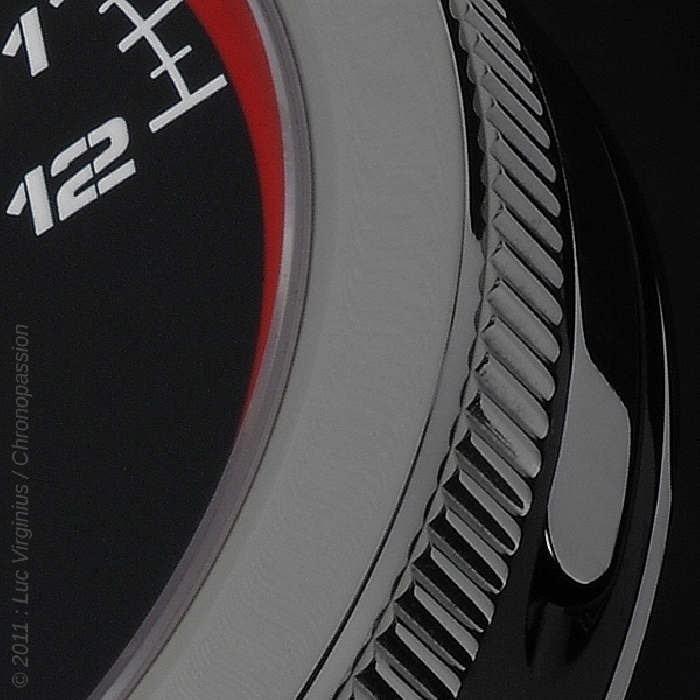 The essential lines and the simple graphics create a revolutionary system to measure the hours and minutes. 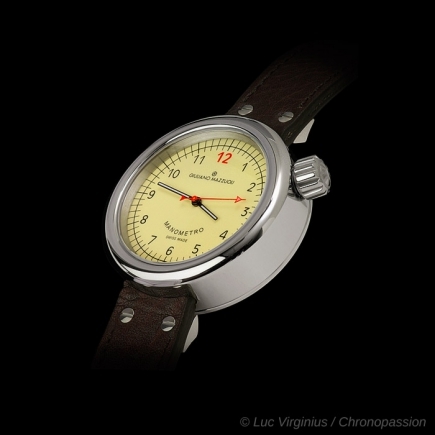 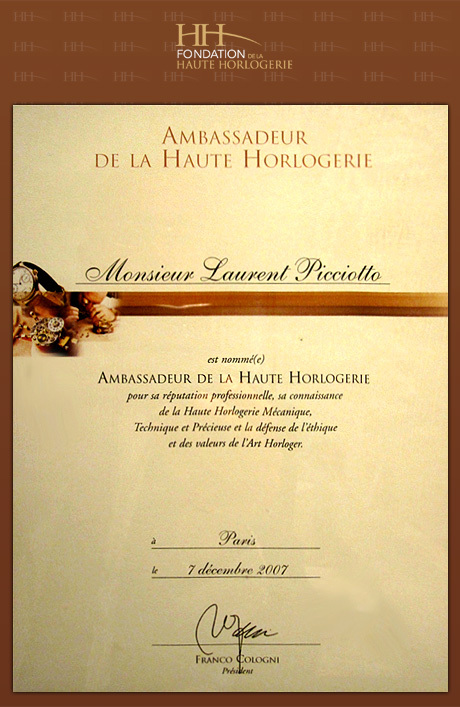 The watch has one hand that retrogrades after moving across an arc of 270° while pointing to numbers between 0 and 12 indicating the hour. 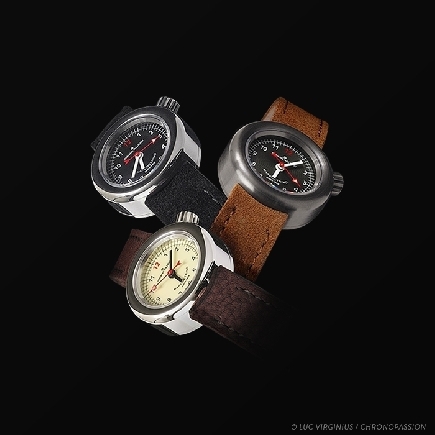 On the side of the case is a stow-away lever that acts like a sort of “gear shift” that allows for the winding of the automatic movement and the setting of the time by turning the bezel. 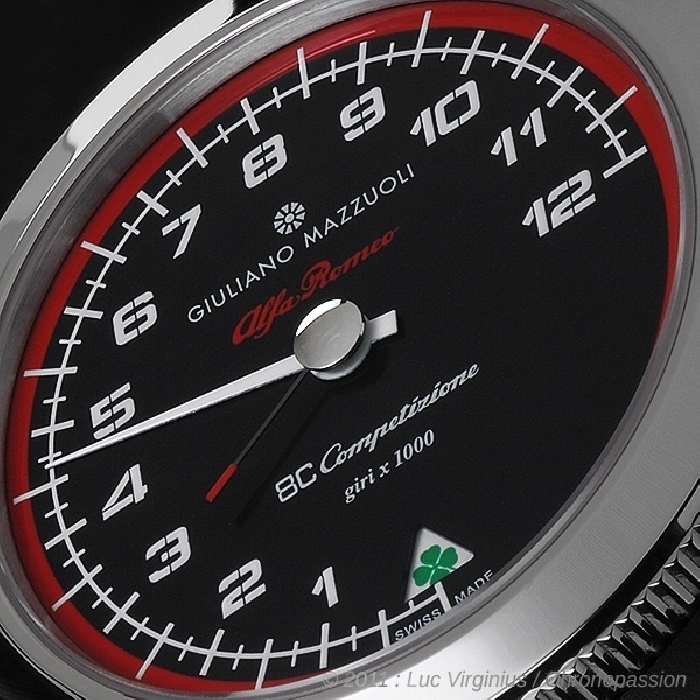 With Contagiri 8C Competizione, Giuliano Mazzuoli dedicates a special version of his exclusive timepiece to the glorious sport tradition of Alfa Romeo. 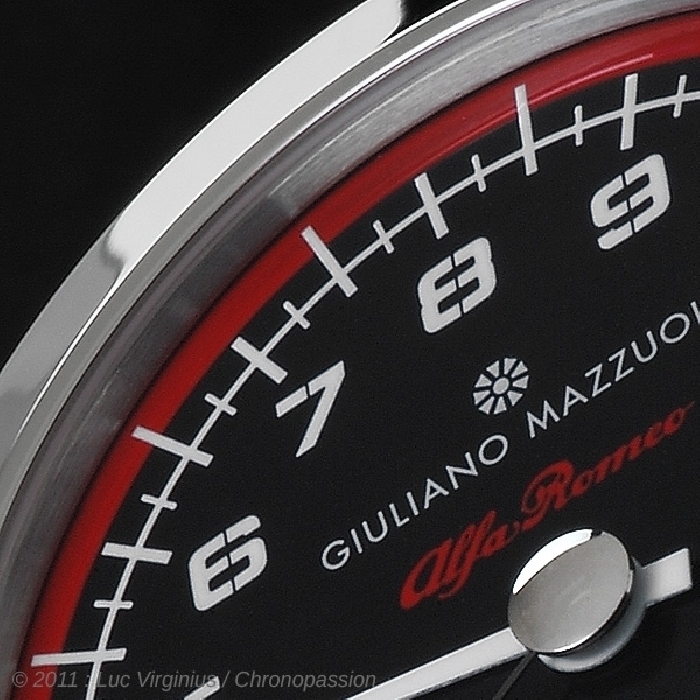 With a stainless steel and black DLC case, and a black dial that faithfully reflects the tachometer in the Alfa Romeo 8C Competizione. 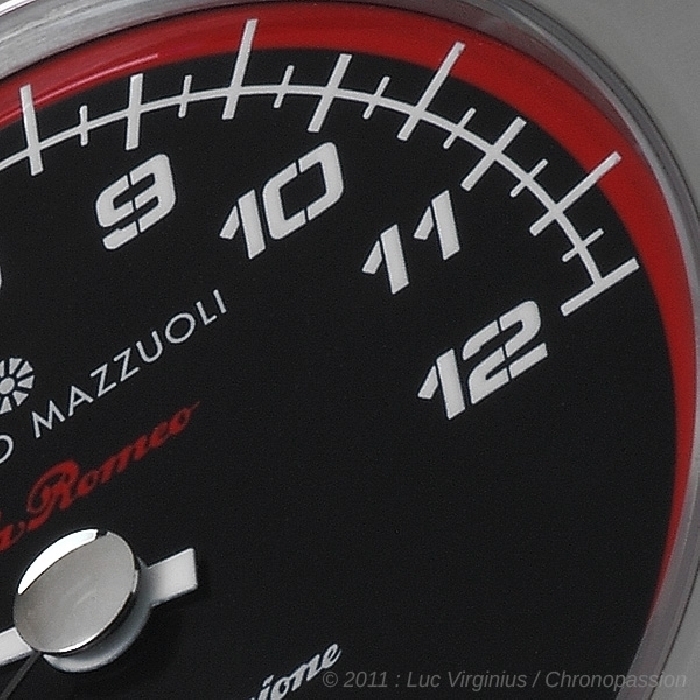 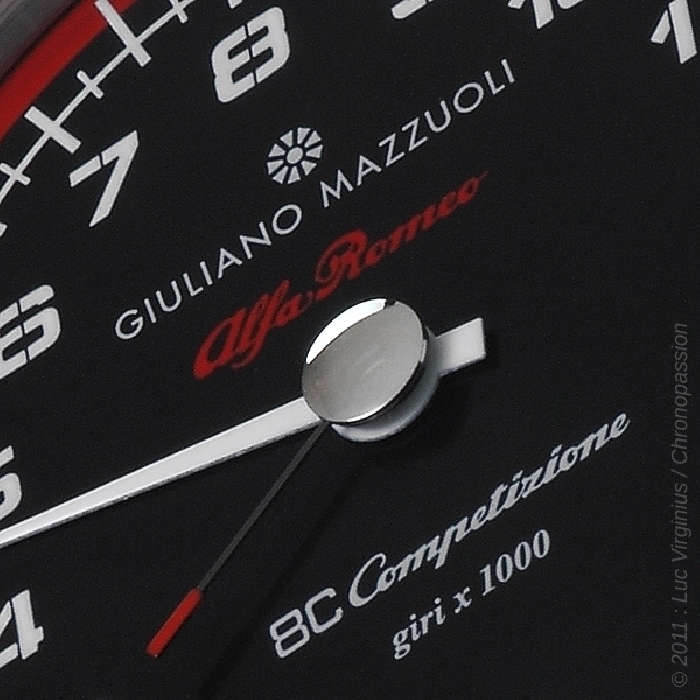 The four-leaf clover, symbol of Alfa Romeo racing, in the window of the dial indicates that the watch is working regularly. 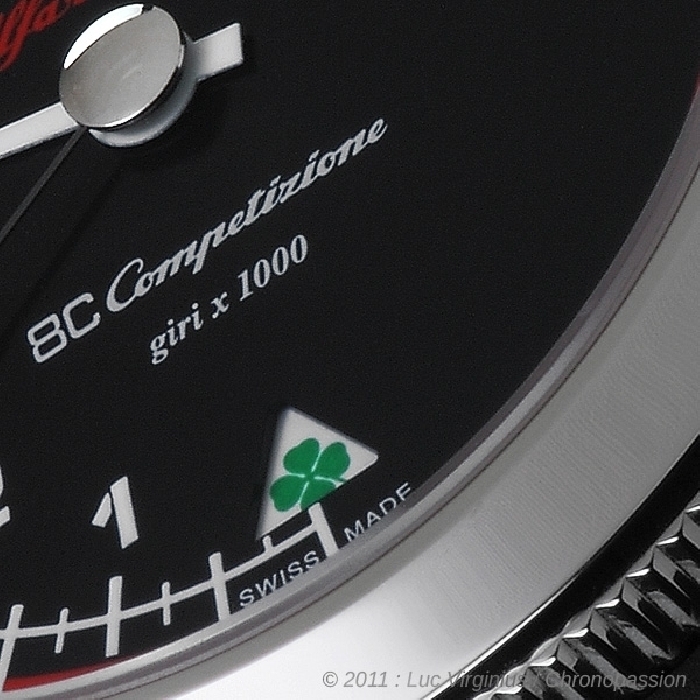 Limited edition of 1050 pieces.